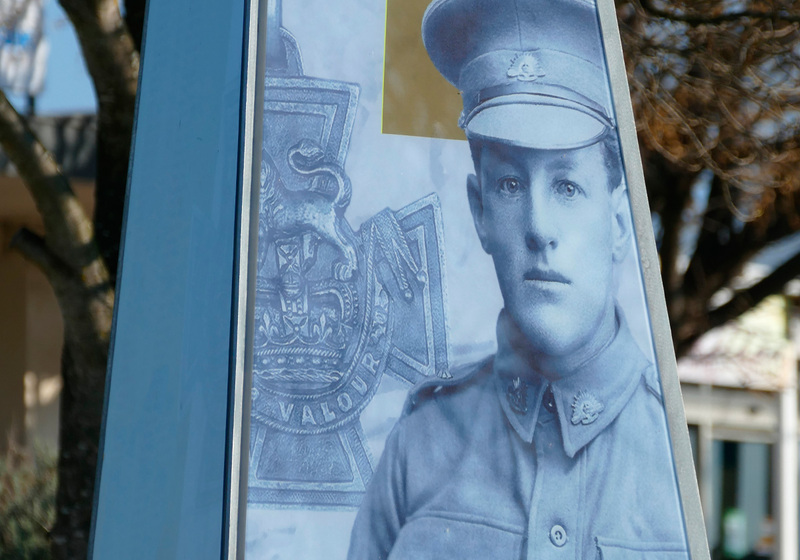 AHD Studio worked with SMAQ Design Collaborations on the design of a memorial to commemorate Captain Albert Jacka - Australia’s first Victoria Cross recipient. 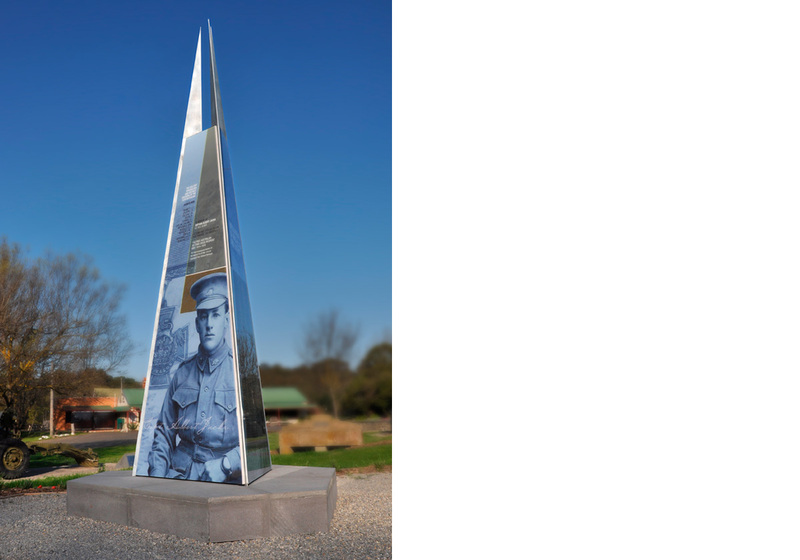 The triangular prism design also honours the servicemen and women of Winchelsea and the neighbouring districts as well as the other WW1 Victoria Cross recipients. 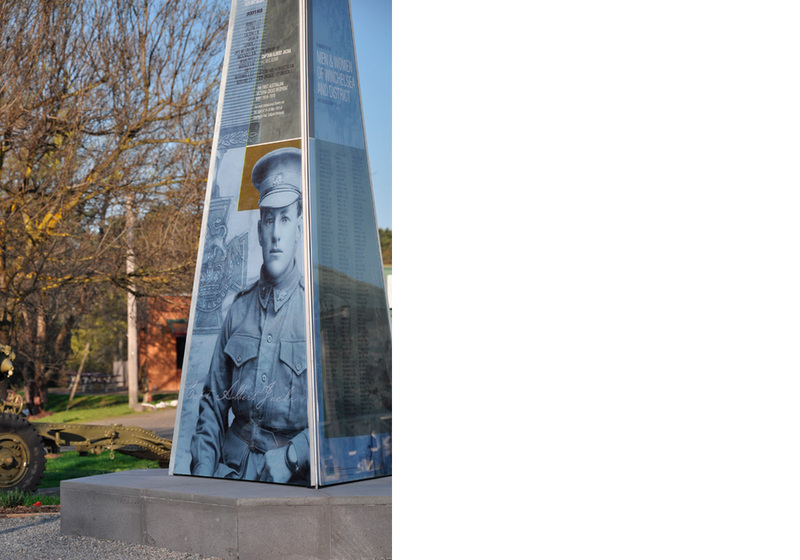 Standing over 3.6m in height, the glass art panels feature imagery sourced form the Australian War Memorial and colour grades that unite them with the bluestone plinth - a locally sourced stone.